This pristine 1947 ranch is ready for you to move in to. With an knotty pine sun room over looking an extra-large treed lot this home says come and relax. Enter this home through the front door and into a foyer, a wonderful detail usually seen in larger homes. The floors beneath the carpet are hardwood throughout the main floor are just waiting to shine. The sun filled living room flows into the formal dining room, which leads to the charming kitchen. The entire floor plan lends itself to entertaining The updated kitchen has an eating space counter and leads to the knotty pine sun room with wall to wall windows that could easily be heated and is counted in the square footage. The first floor also has two nice sized bedrooms and one full bath. The lower level is complete with a finished area for extra living space. The mechanical room and laundry are also on the lower level. The one and a half car garage matches the exterior of the home and makes this home so darling. 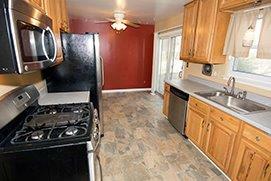 Updates include: Kitchen 2008, Water heater 2005, Furnace and AC 2000, Roof 1999. The home is covered by a Home Warranty of America 13 Month Program. 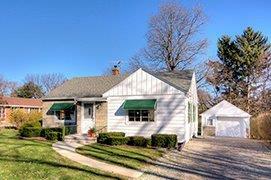 This is truly a gem in the Ann Arbor Real Estate Market!